Anyone can claim to be a minister or a member of the clergy, however, there is a difference between having the desire to minister and being called and led by God to serve. Ministry is a God-ordained purpose birthed in the heart of a man and anointed by God to accomplish the call. There is no private interpretation to this calling, and there is no way to manufacture anointing. To the reader or those seeking the truth, I encourage you to discuss the contents of this website with the appropriate clergy of your particular denomination or faith as to the biblical correctness of the contents within this website. It is not my intent to disseminate incorrect information as fact, especially since I have been led by God to undertake this project and dispense the results of my fact findings to my children and to whomever else the Lord may want to have this information. Feel free to save, share, copy, print or distribute any hard or electronic copy of this information if you find it useful in any way. My goal is not personal gain. My only reason for undertaking this project has been due to the leading of God at this stage in my life. Although knowledgeable, I am only a servant of Christ, I am not claiming to be a Bible scholar, a professor of theology, or a prophet. I am not claiming to be the first person to originate any subject matter or thoughts contained within this website. Since this website reflects the thoughts of this author, Kevin Gregg, any portion of this website’s content, containing wording or graphics similar to any other material or source is either coincidental or material of which I deem to be a true and an accurate reflection of my own beliefs as lead and instructed by God and is not copied protected. 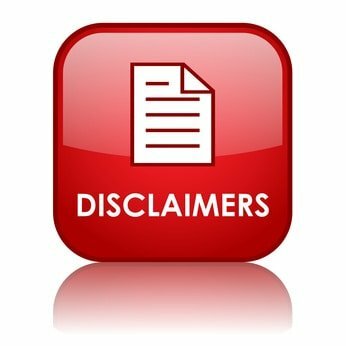 Where applicable and if known the authors of any related writings have been referenced or identified and/or prior usage permission has been granted where necessary. I am not bound by the traditions of men when the word of God states otherwise. I am not interested in nor will I conform to the opinions of other men (or organizations) when they clearly contradict the word of God. Additional topics have been added as a result of combined questions asked by my children and others. My children are young adults and some of these questions do contain sensitive materials that may not be suitable for younger readers, please use parental discretion. There is no charge for sharing the information contained on this website (other than that as would be restricted by law). The information and contents contained within this website are not to be sold or purchased. This website publication is made available to the public and not to be redistributed for personal gain, profit or praise. It is of little or no consequence to me if others read, share, distribute, or use this website or its contents. It is our sincere desire that the Lord directs this information into the possession of those looking for and seeking honest answers to some of today’s real challenges and questions. I would like to thank my parents, (the late Suffragan Bishop Hobart L Gregg and my mother, First Lady Mary Ann Gregg), and several distinguished men of God; Bishop Oscar Sanders, Bishop Morris Golder and Bishop Bryon Johnson, who are just a few of the people that have given me a foundation on which to build my life and my faith and have played an integral role in my earlier development and my desire to learn more about God. I would like to extend a very special thanks to several individuals and organizations that I have found to be invaluable, be it through their personal time, providing guidance, counseling, feedback, teachings, ministry, ordination and/or in some cases through their personal writings. This in no way implies that any of these individuals (or organizations) agree or disagree (in whole or in part) with any of the thoughts, claims, beliefs or contents contained or reflected on this website or the beliefs of this author, but that I have found their input invaluable; Apostle (Bishop) Bryon Johnson, Pastor Steve Barley, Pastor David Allen Jr, Bishop Joel Swanson, Rev William B Chalfant Th.D., Bishop Hancok, Brother Rich Hogan, Elder Floyd Lockett, Pastor Daniels, Bishop Courtney Henry, Brother Alex (godfellas07), Brother Dolson Gould, Brother Dolson T Gould, Pastor Scott Phillips, Bishop Edgar Posey, Bishop Fonzer, Brother Paul Wade, Brother Dan Gill, Brother Dan Galliger, Pastor Herald Kern, Elder Juan Sanchez, Pastor Kevin Woodget, Mother Bernita Flye, Pastor Wayne Law, the UPC Organization (through affiliates and various printed materials, Gordon Magee – Book- “Is Jesus in the Godhead or is the Godhead in Jesus,” David Bernard – Book – “The Oneness Of God,” etc..) and the PAW Organization (through affiliates and various printed materials Elder G.T. Haywood – Book – The Birth Of The Spirit; Elder Morris E. Golder – Book – “The Principles Of Our Doctrine,” etc. ), (Brother Joel Hemphill – Book – “Glory To God In The Highest,” “God and Jesus”), (Brother Andrew M. Denny – Book – “Decoding Precepts of Oneness Theology”). And finally, I want to extend my personal gratitude of thanks to Minister Ryan Akers, Sister Lisa Mayhew and Sister Elena Meyers for their valuable time and personal contributions in assisting me in the foundational development of this ministry.